Smart n Snazzy: Smart n Snazzy Loves Glasses! Hiya lovelies! 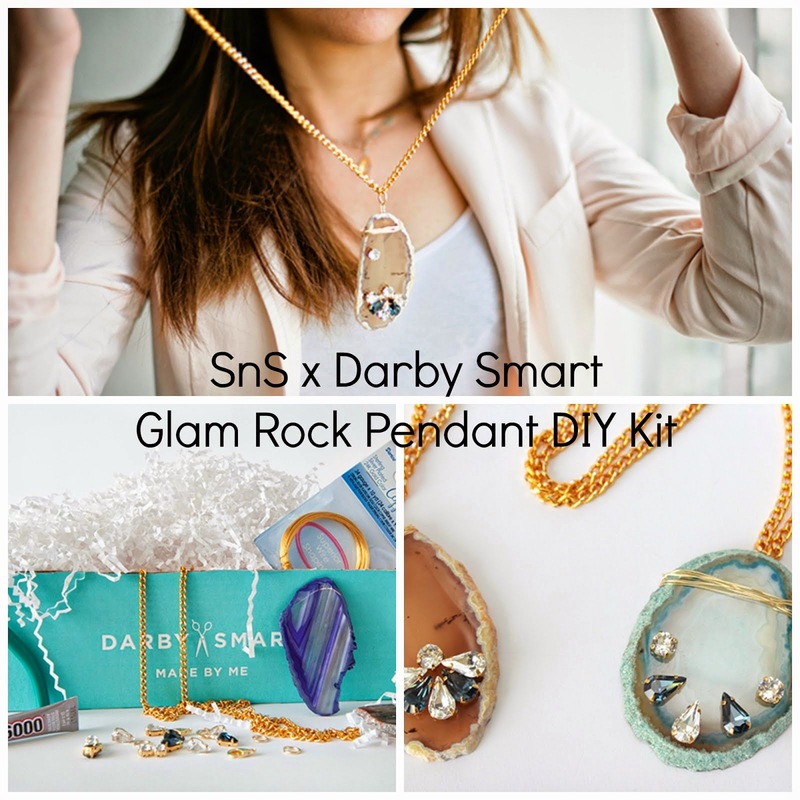 Sometimes the best thing about blogging is finding out about some really rad retailers and etailers. Now, I’d LOVE to introduce you to GlassesUSA.com. I was thrilled when they contacted me to partner up and review their site. With only two days left in the year, it’s time to use those flex dollars before you lose them! And who doesn’t always need another pair of eyeglasses? I seriously could have 20 pairs and still want more. Now first what I cannot stand about getting new glasses is the amount of time it takes. I’m usually there for at least two hours, trying on every single pair about 73 times each. And I still don’t find any that I like. Plus, having two kids in tow really doesn’t help much, even with an iPhone to distract them. 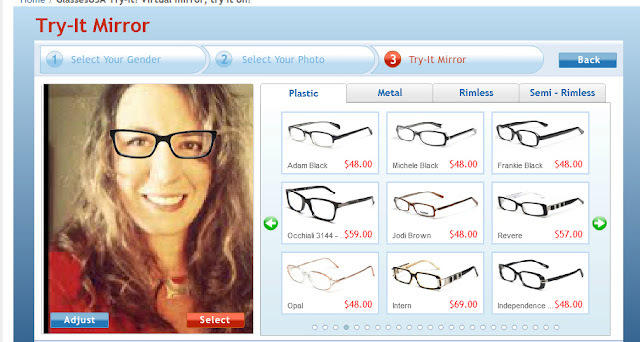 So why not shop virtually and order glasses online? You upload a headshot of yourself and “try on” the different styles of online eyeglasses. When you find the perfect pair (or pairs! ), simply input your prescription and voila! 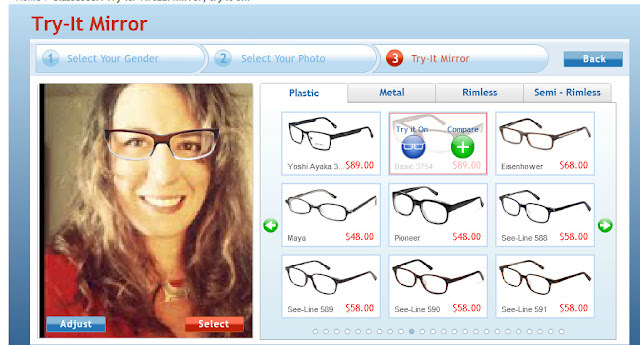 I had never thought about online eyeglasses. Never knew it existed! But now that I’ve been introduced to GlassesUSA I’ll definitely be buying my glasses this way from now on. Which brings me to the other thing I hate about getting glasses: the price! I don’t get high end designer glasses, but still wind up spending about $400 when all is said and done. That’s an obscene amount of money! I found a pair of glasses I love, and using the promotion code they’ve generously offered, with the additional lens options, they still come to under $100! That’s more like it! Now I can buy several pair and not just be restricted to one pair of glasses I’m meh about. 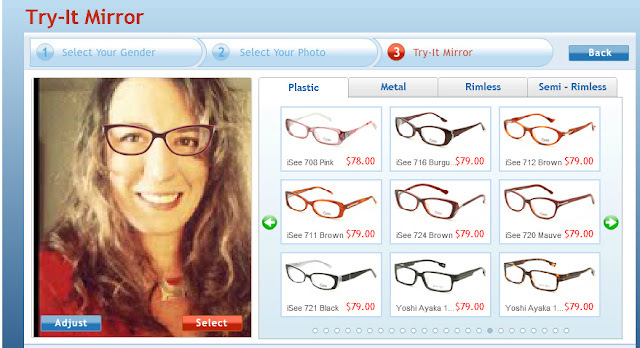 Plus, GlassesUSA offers a 110% lowest price guarantee and a 100% satisfaction guarantee. GlassesUSA has generously offered Smart n Snazzy readers some discounts when ordering eyeglasses. Use Holiday2011 and take 30% off any pair of glasses and get free US shipping. This includes basic single vision lenses; upgrades are available at an additional cost. Use Blog10 and take 10% off any order of prescription glasses. Sound good? The above ones I'm ordering..I love how they look! Disclosure: I was compensated for writing this post; as always, all opinions are 100% my own. This reminds me I need to pick up my new pair! 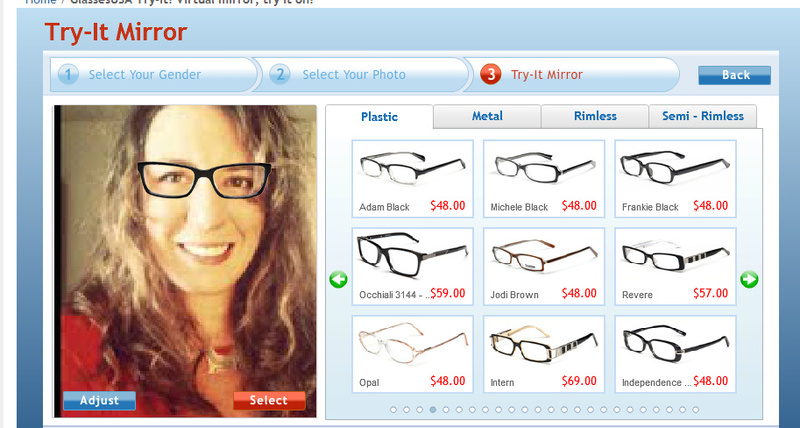 Fun website, but I'd rather try on glasses & bring along someone who will give me their honest opinion. So fun! I just ordered a pair from Warby Parker - which sounds very similar. I hate spending mucho money on glasses - especially for me when they are just a back up to contacts. Very cool; I am consider Warby Parker for some new rims because they send them to your house for free to sample... how cool is that?! I do love that Glasses USA enables you you to sample on screen. How handy! I am doing a post on Glasses USA today! They have some great glasses. That "try it" option is awesome. 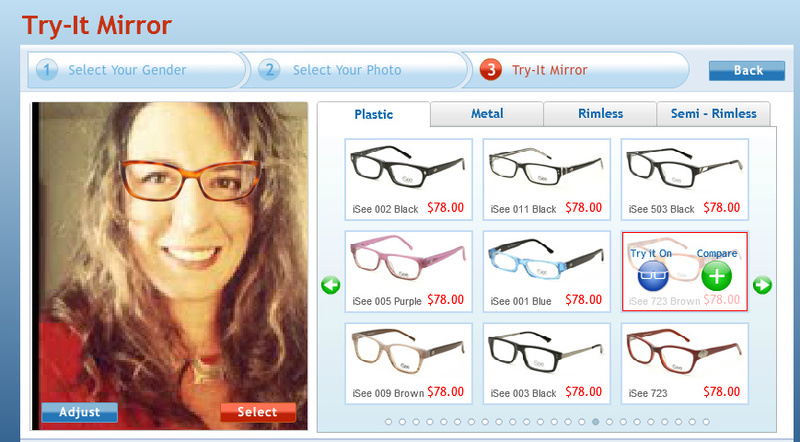 It's so hard to choose glasses online without knowing how they'll look on. I adore the pair you're planning to order! fun! I love the try it on feature - how neat! !